I never exactly got lost yesterday, but I never got exactly where I was going. My maps didn’t help, and my 25-year-old memories were useless. 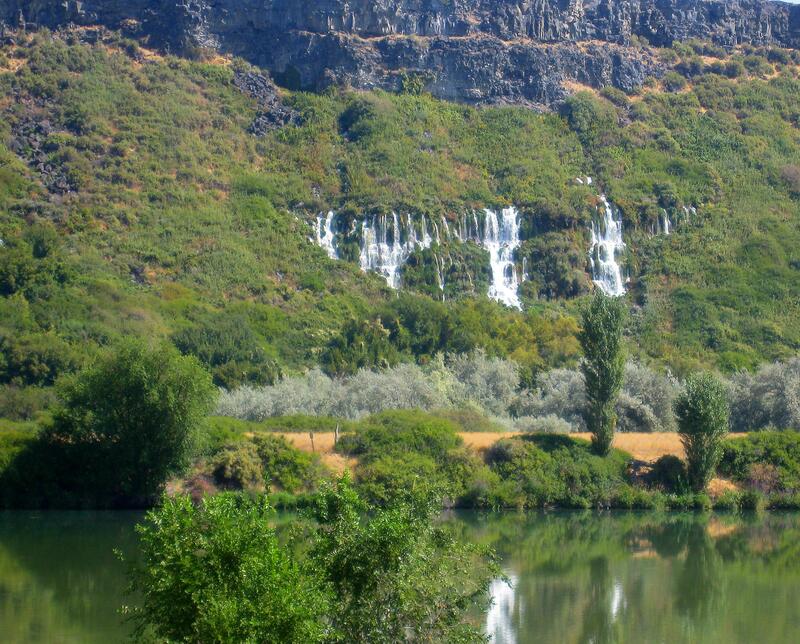 I wanted to drive the section of Highway 30, known as the Thousand Springs Byway that runs south of Interstate 84 and west of Twin Falls – and I did. But I still never got to the actual site I was trying to find. Back in the mid-1980s, when I was regional editor at the Times-News in Twin Falls, one of my girl friends took me right up to those rivulets of crystal clear water that gush out of the sides of the steep cliff and flow into the snake river. I climbed among the tumbled rocks between the rivulets of water, and walked a short boardwalk that had water flowing beneath it. That was the place I wanted to visit again. Instead, I found myself on the opposite of the river with only distant views of the springs. And after spending so much time at the nearby Haggarman Fossil Beds, which I was seeing for the first time and told you about in yesterday’s blog, I was short of time to search more. So instead of close-up views of the springs, all I got was a distant view from the wrong side of the Snake River. And so that’s all you get to see, too. Not the wrong side – just a different one!! Hee Hee ! Blessed be those who are lost for they shall be known as Pioneers. It still looks very pretty! And about getting lost – I can do it a block away, so don’t feel bad!! But the distant view is really nice! Sometimes when we are lost or view things from the other side we are rewarded, too ….. This is a beautiful picture you would not have gotten on the other side.